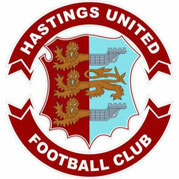 Hythe Town and Whitstable fought out a dour end of season 0-0 draw at the Belmont on a warm Easter Bank Holiday Monday. It was a slow start to the game with both sides feeling each other out with very few chances at both ends. Whitstable were to create the first opportunities as firstly a corner from Ricky Freeman was met by the head of Rob Gillman with the ball being kept out by Hythe keeper, George Kamurasi who again saved the rebound from ex-Cannon Connor Sanders. The second effort for the hosts came in the 20th minute as Harry Stannard worked his way through but shot straight at Kamurasi. Whitstable’s best attempt of the half came on 26 minutes as another ex-Hythe favourite James Morrish charged through and unleashed a shot that saw Kamurasi at full stretch pushing the ball around the upright. Hythe had to wait until the 34th minute for their first genuine attempt that saw Kieron Campbell find space on the right with a shot that forced Whitstable keeper Dan Eason to save. There was little more in terms of opportunities during the half. The second half start with the visitors on the attack and they should really have been ahead on 47 minutes as Tom Carlton crossed into Sid Sollis who with the goal gaping managed to slam his header against the post. Carlton was then to have a shot that was held easily by Eason. Almost immediately, at the other end, Stannard fired in a shot that thumped against the upright and away. 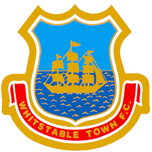 Opportunities were coming at both ends as a long-range effort by Campbell was held by Eason and then Whitstable hit the woodwork again as veteran ex Hythe full back John Walker played the ball into Tom Bryant who also hit the post. 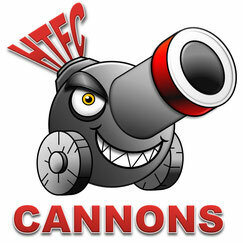 Hythe were next to threaten as Carlton hit a shot from the edge of the area straight into Eason’s arms. Then came a moment of controversy as Whitstable’s Sanders was adjudged to have crudely tackled Ryan Palmer and the referee had no hesitation in showing him a red card and reducing the hosts to ten men. Hythe were unable to take advantage of the extra man with only one more effort as a deep free kick from Carlton was headed over by Mitchell Dickenson. One more opportunity for the hosts to steal all three points saw a corner from Taylor Fisher which found Nick Treadwell on the far post but after heading the ball down it bounced over the bar. The game ended with both teams sharing the points leaving the Cannons in seventh place as they prepare for their last game of the season on Saturday (27th April 2019) at home to Champions Cray Wanderers. Team: George Kamurasi, Salvyn Kisitu (Jack Smith 76 mins), Charlie Webster, Elliot Capel (Tom Walmsley 82 mins), Ollie Rowe, Mitchell Dickenson, Ryan Palmer, Tom Carlton, Zak Ansah, Sid Sollis, Kieron Campbell. Saturday 4th May 2019 7pm start until late. At Hythe Town FC, Reachfields. Tickets available from the bar at the game on Saturday or you can reserve in advance by ordering from John Dowsett by email at the.dowsetts@ntlworld.com.